My Imagination is SUSPICIOUS of FORMULAS. I think of my Imagination as a co-conspirator. It’s been with me for a very long time. It’s great company—talkative, funny (sometimes absurd) and a terrific collaborator. I realised at a fairly young age that my Imagination was also a bit opinionated and not very patient. 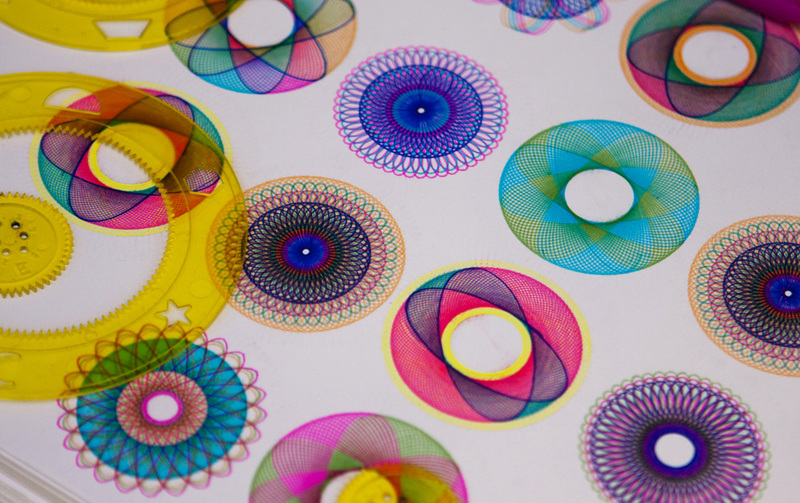 I was given a spirograph set for Christmas and was really excited, until I played with it. I sat at the dining table after lunch with my new toy and had a go. After a while my Imagination became disgruntled, wanting to do more with it than it could, or that my 9-year-old brain had the capacity to make it do. When I look back there are lots of other similar occurrences. My mother forked out money (though we had scant to spare) to buy me the full set of Marshall and Cavendish Golden Hands Encyclopedia of Crafts. I loved all the pictures and ideas, but following a procedure to make something the same as in the picture was way too tedious for good old Imagination. Having an active imagination in my life is very good for making art. However, it can be troublesome when you are trying to develop techniques and need to follow certain rules, such as those that bring you success in using media (paints, mediums, glues, dyes, for example). My Imagination should be commended though, for admirable effort in relation to my aspiration to build some skills in knitting. Not only is my Imagination suspicious of knitting patterns, it absolutely digs in it’s heels and forces me to work tangents until the work is uniquely ours. Thanks, Imagination, love your work! Enter your email address to follow and receive notifications of new pie posts by email.